Hi all, if you did not know PayPal will no longer be refunding the reseller fee for a partial or full refunds in Australia. Which I feel is totally wrong we will be out of pocket for any canceled orders. But check your PayPal rules as your probably not allowed to do that as your not allowed to add a surcharge. The fee is your cost for using the PayPal service not the customers. If a customer has paid for the goods then the service has been used. You are allowed to charge a handling fee but it can not be linked to the paypal ammount as it must be the same for all payment types. This is no different to bank charges for bacs or cheque processing! the bank will not refund these just because you have to refund the customer. Also shipping charges if product had been deliverd? Many copmanys simply cover this with a % restocking charge. I guess PayPal is going to try this when ever it can! looks like there feeling the squeeze as well. Look around for another payment option plenty around these days. Yes. To ensure merchants are given a reasonable opportunity to recover the costs of accepting payments online, we’ve aligned with the Reserve Bank of Australia’s (RBA) new card scheme surcharging standard. Also seeking to only charge on cancelled orders. But i will investigate the cancelled order processing fee option as a percentage. But for now was hoping this option of getting a figure amount would be easy. To ensure merchants are given a reasonable opportunity to recover the costs of accepting payments online,﻿ we’ve aligned with the Reserve Bank of Australia’s (RBA) new card scheme surcharging standard. Ok is that somthing just for Australia? As I have not recived any changes to the UK policy! as Far as I know in the UK surcharging is still not allowed in a buissness account. 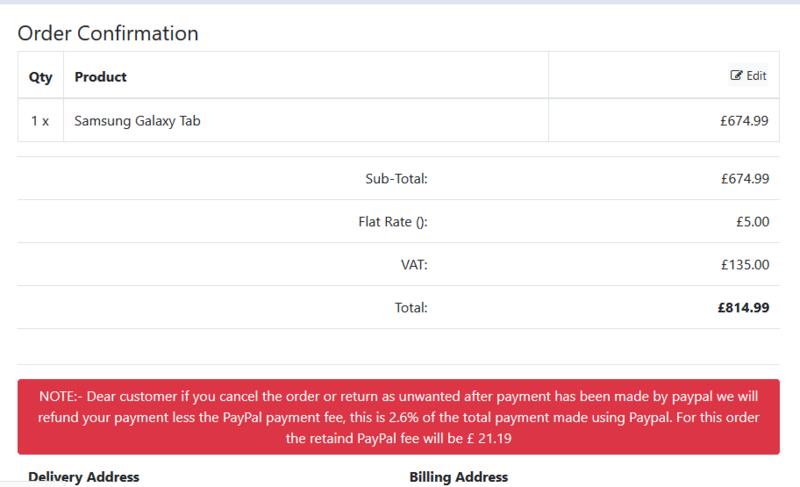 But as far as displaying I would think it will just need you to simply add a condition that if Payment option selected is PayPal then dispaly a line of text. Or if you wish to keep it very simple just add the text no matter which option is selected. You probably need to show this on both checkout_payment.php, checkout_confirmation.php and probably on the invoice just to be safe. Sorry yes I now see what your saying! I should read more carfully . I'm not sure you can do what your asking as i don't think the total is available at the checkout_payment.php stage. if you do a test buy you will see the first time you see total including taxes is checkout_confirmation.php stage. Also looking in the checkout_payment file all it has is a pull and display of the payment options array. I assume your wanting to calculate the fees your self? as at this stage you have not used the paypal API to comunicate with PayPal servers! Also I'm not sure they will even give you the fee data unless your API has been updated. So I'm not sure you can do what you ask not without a lot of work. You probably could calculate this your self in checkout_confirmation and display it but even then I'm not sure how that will or may affect the rest of the checkout! The fee is easy it's 2.6% of the order total +.30c i dont want to charge this so the surcharge add ons dont work dor me. I simple want to say "The amount of xyz will not be refunded if your order is cancelled for any reason"
Happy to pay the paypal fee for a sale. But when a sale gets cancelled and the seller fee is now not refunded i dont want to be out of pocket.
" and this fee will be shown on the payment page (important for the customer to see how much he will be charged before choosing) "
just what your trying to do. It's not perfect but works! 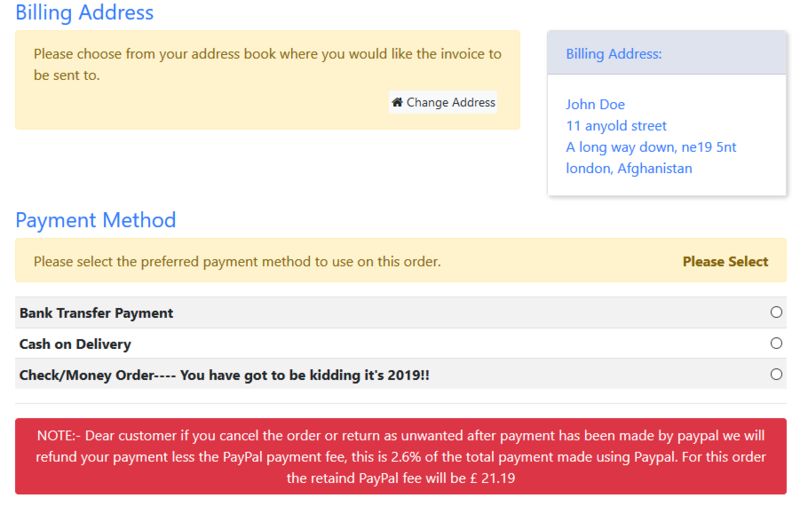 is totaly indipendent of checkout and PayPal as it is just displaying the message with the calculated retaind fee! Would be better if it could be done without core changes! this should be posiable with the moduler checkout, but I don't use that. Showing it on the payment seection was a pain in the **** probably due to me not doing it right. Still you can add a condition so it only shows if payment is by paypal I would think. 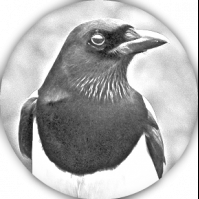 It's just a quick bit of code thrown to gether and will need to be moded if you use more than one currancy as I just outputting the £ and comments as text in the code at the moment and not in a language file! 🙄 displays on payment method page ok was just me being stupid! Is that the payment method fee module? The code has been added to 2 files, checkout_payment.php and checkout_confirmation.php, I have only tested in on CE BS4 but should work on BS3 also. Sure not a problem. Will pm it too you.